Letters mailed to New York City Mayor Michael R. Bloomberg tested positive for the poison ricin, officials said Wednesday. Multiple sources reported that one of the letter contained references to the national gun control debate. Investigators told the New York Times they believe both letters were sent by the same person. 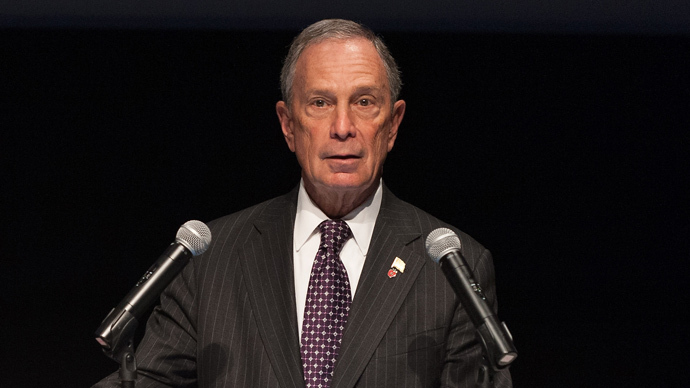 The second letter was addressed to the Washington building that hosts Mayors Against Illegal Guns, a gun control lobby group Bloomberg helps lead. “The writer, in letters, threatened Mayor Bloomberg, with references to the debate on gun laws,” Pual J. Brown, the chief spokesman for the New York Police Department, told reporters Wednesday. Both letters were intercepted before reaching Bloomberg and no reports of illness have surfaced. Members of the police department’s Emergency Service Unit who found the letter at a New York mail facility were examined as a precaution. Both envelopes were postmarked in Louisiana, according to CBS News. The toxin can be fatal if ingested. The Joint Terrorism Task Force and the police department’s Intelligence Division are investigating the situation.